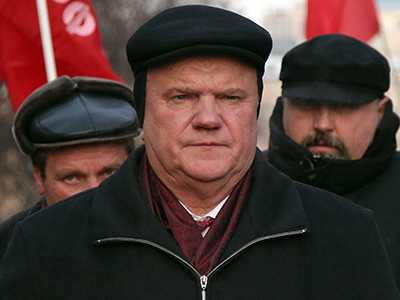 Recent protests in capitalist countries indicate that the public mood is swinging from right to left and a turn to socialism has become inevitable for the entire world in the future, believes the head of the Russian Communist party, Gennady Zyuganov. 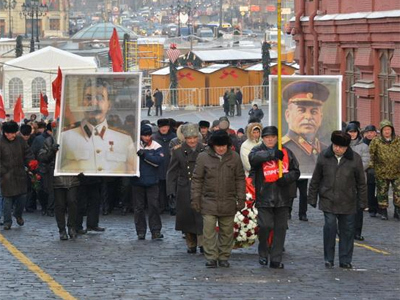 “I’m confident that in 2013 it will become obvious to everyone,” the KPRF leader stated. 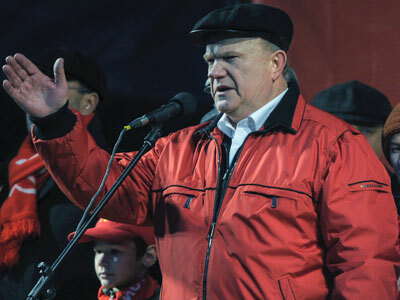 In an article, published on Thursday on the party’s website, Zyuganov summed up the results of the previous year and shared his view on how past events will affect the future of Russia as well as other countries. In keeping with tradition, the Communist leader slammed the policy lead by the ruling power as “destructive.” The 2012 year “fell short of expectations” by those who waited for a start of positive social-economic and political changes in the country, he pointed out. “Those who made public property serve their private interests can’t save the country,” stated the head of the second-largest party. 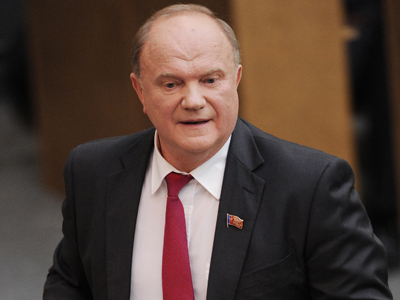 The only way to “revive Russia” and improve lives of its people is to go back to public ownership in economic, banking and financial sectors – as it was in the Soviet Union – Zyuganov believes. 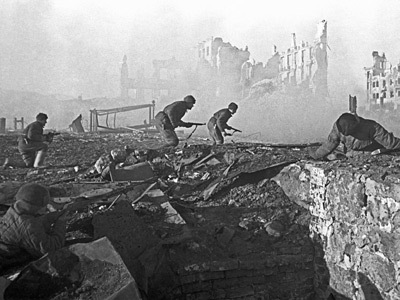 In his view, time proves that the Communists’ goal is correct and that the world will inevitably take path to socialism. “Look at what’s happening in Europe, America, and Asia. You’ll see that regions that were considered stronghold of capitalism not long ago are now leaping to the left – to the values of a social state, and the opposition to transnational corporations and financial scalpers,” the veteran politician observed. Mass protests that swept across Europe as well as election results in several countries are a clear indication of such a change of public political moods. For instance, left-wing Francois Hollande won France's presidential poll last year, becoming the country’s first socialist leader since Francois Mitterrand left office in 1995. 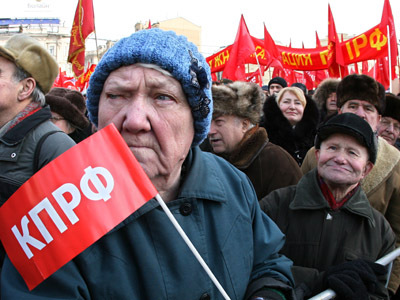 In Russia, as “social-economic situation is worsening,” young people are taking a growing interest in the Communist Party’s program, Zyuganov noted. There are fewer people who are ready to live in a society where ordinary people should “sweat their guts out” to get a pittance from a small bunch of the rich – “the new owners of life,” he added. 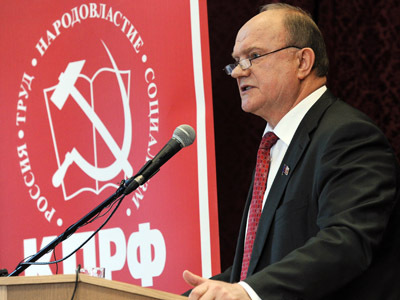 The upcoming KPRF congress in February will provide for “a new breakthrough in our fight for the principles of social justice,” Zyuganov believes. And that, combined with the development of political work, will bring “hundreds of thousand” new members to the party, he concluded.